Male Transformation Of The Week - Jesse Lile! 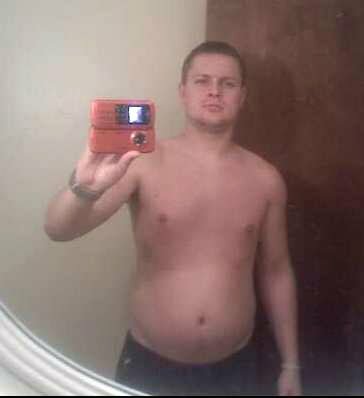 In February of 2008, Jesse's life took a turn for the worse and he lost all motivation to stay fit. However, once he realized he wasn't happy with what he had become, he decided to turn his life around. 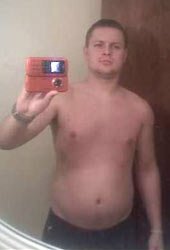 Read on to learn how he dropped 35 pounds! I&apos;ve always been athletic and in good shape, I even did MMA (cage fighting) for a period of time. 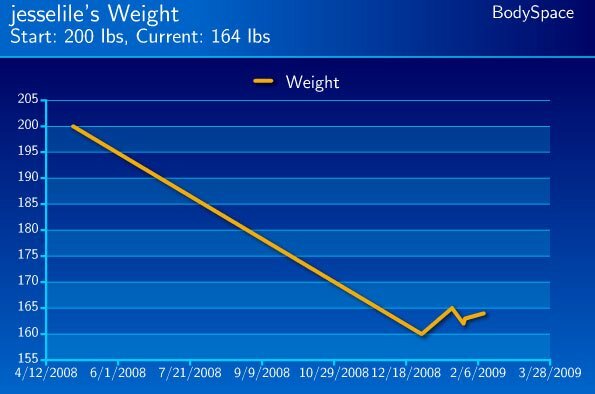 But in February 2008 I lost my job and along with it, my motivation to stay in shape. I decided to go on a journey of self destruction that I almost didn&apos;t recover from. I was partying (literally) six to seven nights a week. Beer, pizza, cheeseburgers ... whatever I could get into my stomach after midnight was medicine for my self induced "disease." I didn&apos;t care about anything but living fast and finding my next drink. Jesse Lile&apos;s Weight Loss Progress. I was starting to wear hoodies and tight undershirts to cover my new found weight problem. 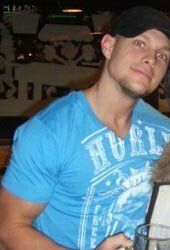 No one else noticed any changes in my physique because they were super sizing themselves along with me. One day I woke up and realized I had to separate myself from that lifestyle or I wouldn&apos;t make it much longer. I packed up and moved 700 miles away (MO to TX) to warmer weather and better surroundings. I began exercising everyday and eating healthier than ever. I&apos;m a strong-willed person so I knew I could get my desired results if stuck to it. 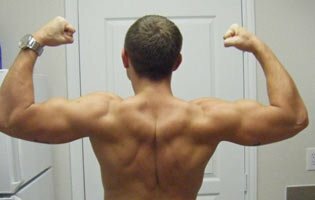 I was doing cardio at least twice per day with some moderate lifting mixed in. My daily eating routine never went above 1500 calories per day, and I closely monitored my fat grams. I allowed myself one cheat meal a week as a little reward for my hard work. Within three months I had dropped 30 pounds and was enjoying having my old body back. 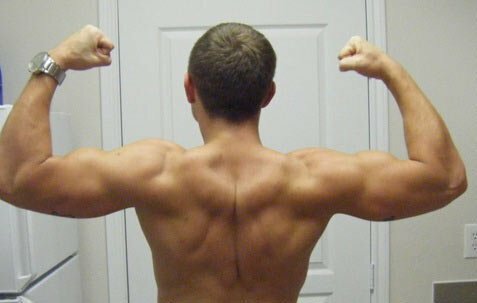 After almost five months I had lost the final ten pounds I wanted to get rid of, and decided to start working on putting some muscle mass back on. I&apos;ve been diligently hitting the weights (with a little cardio mixed in), and ramping up my protein intake. After a total of seven months I&apos;ve lost a total of 40 pounds and put back on about five pounds of muscle. 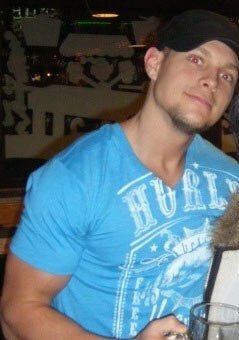 I&apos;m not aspiring to become a bodybuilder or model, I just love feeling and living healthy and can&apos;t imagine going back to my "dark days." I Love The Feeling Of Being Healthy. I recently got a tattoo on my arm that says "determined" to always remind me how far I&apos;ve come with the support from loved ones, motivation, and determination. I eat as clean as possible and avoid carbohydrates late at night. I like to get plenty of protein in each meal, and eat the bulk of my calories early in the day. I make sure I&apos;m eating every two to three hours to keep my metabolism high and avoid processed/packaged foods if I can. I use chicken and ground turkey meat in almost every "main" meal. I put a lot of effort into preparing my meals ahead of time to avoid any temptation of grabbing that "quick fix." I also put fish, tuna, sushi and shrimp in my diet whenever as possible. Click Here For A Printable Log Of Day 1: Chest & Cardio. Click Here For A Printable Log Of Day 2: Arms, Traps & Cardio. Click Here For A Printable Log Of Day 3: Back, Legs & Cardio. Then start the cycle over. I&apos;m not very strict to my workout routine. I like to try variations and new exercises all the time to switch it up. I take short rests in between sets to heighten the calorie burn, and I try to get out of the gym within 45 minutes (not including cardio). Transforming your body takes hard work and lots of time. The most important thing is eating better, it doesn&apos;t matter how hard you work out if you&apos;re putting bad things into your body. Eat frequently and get plenty of protein. Transforming Your Body Takes Hard Work. It can not be a "diet," it has to be a lifestyle. Nothing is more motivating than feeling healthy and looking your best. You must sacrifice things in your life to achieve your goals, and stay determined!